Apple has started conducting training programs to instruct its retail employees about the ins and outs of Apple Pay, which is widely expected to be launched later this month. 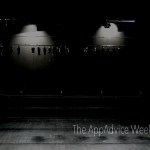 Materials from the training programs, shared by “a reliable source” with 9to5Mac, shed light on some of the particulars of Apple’s much vaunted mobile payment service. 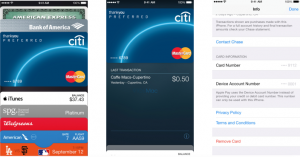 As has been discovered in the internal settings of the developer beta version of iOS 8.1, Apple Pay can be set up through the Passbook app. Newly leaked screenshots from Apple’s training materials also indicate that the service can be configured through the initial iOS 8 setup process and through the new Passbook & Apple Pay section in the Settings app. For each connected credit card/bank, users will have a simple list of recent transactions, quick access to download an accompanying App Store app, the ability to contact their bank, the option to receive push notifications, and a display of both their credit card’s number and the unique device account number. Another cool tidbit is that if a credit card expires, Passbook will automatically update the card with the new expiration date from the credit card company. Users will not need to delete and re-add the card; they will simply receive a push notification alerting them that the changed occurred. Apple’s training materials for Apple Pay also touch on the handling of return requests for Apple Store products bought using the service and the added security afforded by the service’s omission of personal information in Apple Store receipts. There’s also a demo software to be deployed at least in Apple Stores to help retail employees determine whether problems with Apple Pay are caused by issues on the part of the card providers or by hardware issues on the iPhones used for the service. As announced by Apple at its introduction alongside the iPhone 6, the iPhone 6 Plus, and the Apple Watch, Apple Pay works with the NFC sensor and Touch ID on the new iPhones to enable contactless payments at stores and in apps. It’s also expected to work with Apple’s wearable device, which is due to be launched early next year, and with the rumored Touch ID-integrated “iPad Air 2,” albeit for in-app transactions only. The iPad Air 2 is expected to be unveiled by Apple along with the next-generation iPad mini, iMac, and iMac mini at the company’s special media event on Thursday, Oct. 16. The event is also likely to see the announcement of Apple’s rollout plans for OS X Yosemite and Apple Pay. 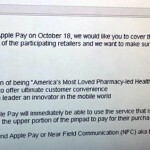 According to a recently leaked internal memo sent to store managers of Walgreens, one of Apple’s launch partners for Apple Pay, the mobile payment service is scheduled to be launched on Saturday, Oct. 18. But ahead of its official launch, Apple Pay has already been made available, perhaps as part of a dry run, at Apple’s Caffè Macs corporate cafeteria at the company’s headquarters in Cupertino, California.